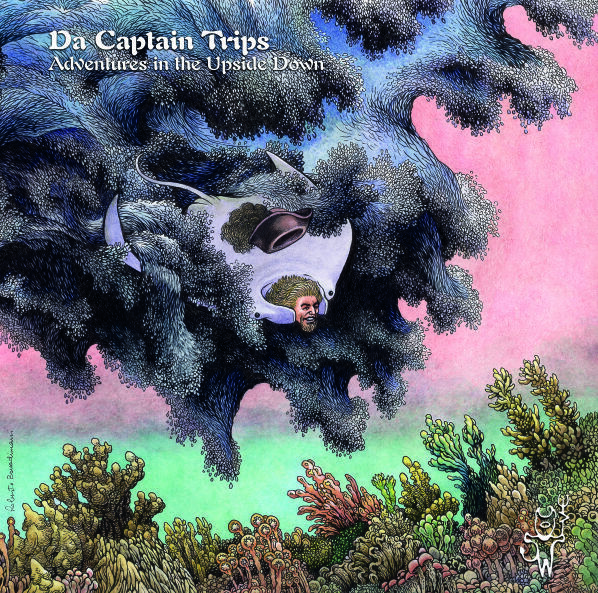 DA CAPTAIN TRIPS are flying again! Home The News DA CAPTAIN TRIPS are flying again! I'm so proud to announce the new album (after 4 years!) by our friends DA CAPTAIN TRIPS! The space-psych Italian band is ready to publish "Adventures In The Upside Down": the album will be released on vinyl by VINCEBUS ERUPTUM Recordings and on CD by PHONOSPHERA Records. The artwork by cult-artist Roberto Bonadimani is really awesome! The vinyl edition is published on a fantastic gatefold edition. First press is a limited edition of 350 copies: 200 on black vinyl and 150 on fucsia vinyl (SOLD OUT). Second press is a limited edition of 100 copies on translucent marbled green vinyl.